When Matt Stonecypher, DVM ’00, and Tina Stonecypher, DVM ’00, were Ohio State veterinary students, they would have jumped at the chance to gain clinical experience at a small animal practice. 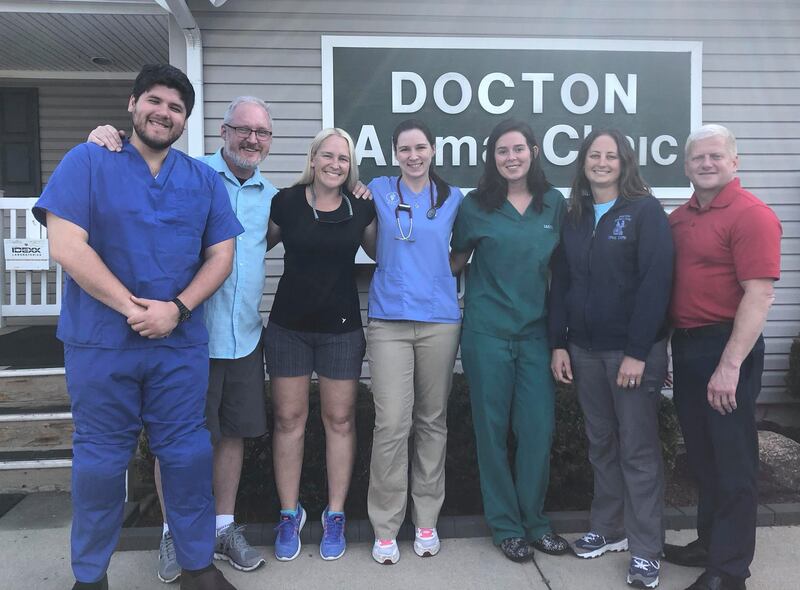 The past two summers, the couple was able to provide that experience for the four students they hosted through the College of Veterinary Medicine’s Stanton Summer Externship program at their Xenia, Ohio-based Docton Animal Clinic. “The students are experiencing what we did in our first month of real practice, only well before they go into real practice,” says Dr. Tina Stonecypher. The Stanton Summer Externship Program, made possible through a generous donation by the Stanton Foundation, enables 16 students between their first and second years of the DVM program to participate in a ten-week program that includes shadowing general practice veterinarians in busy small animal practices. Admission is competitive. In addition to the hands-on experience of caring for dogs and other small animals by providing a spectrum of care, students learn how to help clientele from a broad range of socioeconomic backgrounds. “It’s an art,” says Todd Shockey, DVM ’00, “learning how to think critically and solve problems with the resources you have to help patients. It’s not always perfect, but we do what we can to help—and there’s always a way to help.” Dr. Shockey hosted students for the first time this past summer at Parkersburg Veterinary Hospital, an eight-doctor small animal clinic in Parkersburg, West Virginia. The Stanton Summer Externs spend several weeks in practices like the Docton Animal Clinic. The College of Veterinary Medicine's Be the Model Strategic Plan outlines the college's ambition to Be the Model comprehensive college of veterinary medicine in the world. Our focusing on providing students with hands-on experience as soon as possible in their education is one example of how we are advancing education and student success. Learn more about the strategic plan and other advances at the college.